On Saturday night, Israel debuted The Next Star for Eurovision 2019, its selection process for Tel Aviv 2019. Despite the (very) early stages of the process, which is intended to end around mid-February, the judges were optimistic and said that they can already imagine a second consecutive victory or a “double” as they called it. But this is probably due to the fact that Netta’s stardust is still present and hasn’t settled yet. The Israeli national selection is the same one that has been used during the last four years. After Israel failed to qualify for the final four years in a row, The Next Star was introduced and changed Israel’s faith with four straight qualifications to the final between 2015 and 2018, including two top tens in 2015 and 2018, and of course one victory in 2018. As in previous years, the hosts are Assi Azar, one of the leading candidates to host Eurovision 2019 in Tel Aviv and his colleague, TV presenter and model, Rotem Sella. Assi and Rotem have also been known for their very long relationship on screen as co-hosts in many other TV shows in Keshet (channel 12) and are sometimes referred to as the married couple of the Israeli entertainment industry (although both are married to other people in their real life). Rotem, however, is not a candidate to host Eurovision in Tel Aviv. The jury panel was upgraded this year with Eurovision alum Shiri Maimon, who has just returned from New York where she played Roxie in the hit musical Chicago. During the show, the hosts performed “HaSheket Shenishar”, Shiri’s song for Eurovision 2005, as a tribute for her joining the panel. It also reminded the audience that until Netta’s victory, this has been Israel’s best entry in almost two decades! Static (aka Liran Russo) and Ben El Tavori, leading Israeli pop duo. During the show, Harel was mocking himself and said that his voice had undertaken “some changes” while singing in Eurovision 2010. He was referring to his out of tune performance on the grand final. As in last years’ show, the auditions phase works like this: each contestant performs her or his song behind a screen and if they achieve a score of at least 70%, the screen rises automatically and they advance to the next round. Each judge votes yay or nay, with a yay awarding the contestant a score of 8% (totalling 40% as Static and Ben El vote together). 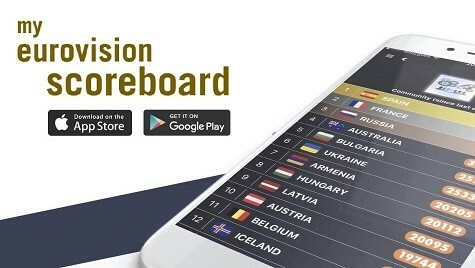 The audience in the TV studio votes in a similar way via a special smartphone application and the scores are then added up. Before each audition, the hosts have a chat with each candidate and sometimes this also continues on stage just before their performance. It is a very informal concept which can perhaps hint about Israel’s plans for Eurovision 2019 (More involvement of the performing artists? Short interviews being added to the postcards?). But this is only our thoughts as Keshet and KAN are different broadcasters: whilst KAN is a member of the EBU, Keshet (channel 12) — which has been responsible for the production of the Next Star since its birth — isn’t. Danielle, 27, has been one of Netta’s dancers and backing singers in Lisbon and she’s apparently also a singer despite the fact she has no professional experience. After discussing her excitement and sharing her thoughts about winning in Lisbon, with the hosts and jury pretending to be unfamiliar with her, she sang Pharrell Williams’ “Happy” with her own interpretation which was unique and quiet. Her dancing skills have also had their impact. She achieved 90% and has been one of the leading candidates in this episode. In fact, the judges described her as a “potentially Eurovision 2019 winner” but this is much too early in our opinion. Ofri is 16 years old and she lives in Dimona, a small southern city in Israel. In a stark contrast to her appearance and (very) quiet manner of speech, her vocals are HUGE and stunning. In fact, without seeing her, one would probably presume that she is much older than 16. Ofri has been singing since she was six, mainly in her school choir. Before the audition, the judges asked her how she would cope with million of viewers as she looks so shy. The answer has become clear after her audition. She sang a Hebrew song called “Le’esof” (“Gathering”), originally performed by the Israeli singer Yuval Dayan. Ofri lifted the roof with 92% of the points and in our opinion, she had the best audition this episode – simple yet very capturing. The judges were (justifiably) thrilled and pronounced that “a star was born”. Keren Peles said: your job is to sing and not to speak”. Next came Shcahar Adawi, 20, a soldier in the IDF who started to practice religion when he was 15. Shachar mainly spoke about his life as a religious Jew whilst his brothers are secular. He chose to sing a song which reflects his life called (and translated) “Wikipedia” and in which he asks the public not to look at him as a representative of the larger religious community, and implores the public not to believe in stereotypes. Hmmm… thank you for celebrating diversity – the 2019 version? Judge Keren Peles said: “I like what I see” and Static responded: “you like anyone, so far”, implying perhaps that she tends to be in favour of most singers. Overall, Schachar’s performance was good, although we think that there were better auditions and that he was favoured because of what he represents. He did pass to the next stage, having gained 89% of the votes. The judges (who all voted for him) said that it would be interesting to see how Europe will react to such an “unusual” singer, although they will not need to see the Israeli flag in order to understand whose country he represents. His look speaks for itself as can be seen from his audition. Nadav, 18, is a high-school student. He said that he loves divas such as Shiri. Obviously, she loved to hear that. Nadav was also sharing his fears about not being able to lift the screen. Curiously, he looks a bit like Jonathan Mergei, the runner-up in The Next Star 2018 (and we think that he sounds like Hovi Star, Israel’s artist in Stockholm 2016). Nadav sang Whitney Houston’s “I have nothing” with a lot of passion (but also with some mannerism) and gave a promising performance. He also achieved 82% with all the judges – except Harel Skaat – voting for him. Harel explained why he didn’t vote: “I don’t relate to your performance and mannerisms. The song was performed in an old fashion way”. Assi cynically suggested that Harel is simply jealous because Nadav looks like Jonathan Mergei, who is now in competition with Harel. Can you spot the differences? Despite sharing Netta’s last name, they are unrelated. Daniel, who is very good looking, is 26 and lives in Tel Aviv. He participated in season seven of Kochav Nolad, the “old” version of HaKochav Haba (where Shiri Maimon and Harel Skaat had their breakthrough in 2003 and 2004, respectively). Daniel works in a restaurant and creates music mainly as a hobby. Just before his audition, a cute cat had stepped onto the stage which was quite amusing. He sang a song in Hebrew which is called “Osher Le-Daka” (originally performed by Israeli singer Uri Ben Ari and translated as “A Brief Happiness”). Daniel has a lot of charisma and he’s not only a good-looking guy but also a very good singer. He also achieved a very high score – 88%. Shiri said that he’s very photogenic and Harel was very positive at this time and crowned him as the best singer of the evening. As usual, Keren was very enthusiastic and said that she would be happy to write him a song. We also think that, with Ofri Kalfon, he had the best audition in the first episode. The last audition in the first episode was performed by a band called “Shalva” (translates as “Calm”). Shalva is also the name of a non-profit organisation for people with special needs and this is what so special about this band as its members are people with disabilities — the lead singers are blind and the drummer has Down syndrome. The band has been performing professionally in the last couple of years, including concerts abroad and collaboration with Sarit Hadad (who represented Israel in Tallinn back in 2002 with “Light a Candle”). Before they started their audition, the judges said that this might just be a gimmick, but the band was actually quite good and delivered a harmonious and emotional song to the stage. They were received positively both by the judges and the audience and got 91% of the votes. However, we still haven’t decided whether this was due to their performance, their gimmick or both. You can judge for yourself. Two other candidates didn’t qualify for the next stage out of 8 candidates. Overall, the first episode was a bit overrated perhaps due to the good energy that that the host country has towards the contest. In any case, it will be interesting to see how this develops. You can watch all the auditions, including the interviews with each candidate, on The Next Star website. Do you think that Israel’s next representative has been discovered? What do you think about the concept of the show and Shiri joining the panel? Leave your comments below! What is this thing, that Israelis often use the same names for boys and girls? Like most European names, Daniel is actually a Hebrew name. it boils down to “Dan-Ni-El” meaning “God is my judge/God judged me”, so Daniel, at least In Israel, Is a unisex name. Maya Buskila is the next Israeli representative. and she is GREATTT for Eurovision. She will audition on Tuesday. Stephan Lager vs Maya Buskila vs Elkana Marzianno? Wow. the earth is shaking in Israel. Amen!!!! Stephan is GOOOOOD [email protected] YESS! How’s can you not remember Daniel? She sang Toy during one fo the press conferences. The one in which Netta sang it opera/Elina style. She can easily win if she’s given a banger like Toy. Oh, I’m sorry, I didn’t see the female Daniel. The one that sang the acoustic version of Toy with Netta was Maayan Bukris though. She was a backing vocalist, wasn’t shown on stage during performances (was behind those huge cat-walls). The big guns haven’t been revealed yet: Maya Buskila, Elkana Marzianno, Kithria, Klara Sabag. Just wait, it was just the first gear! I don’t see a winner in this bunch. They are good but not great. My favorite was Shalva. Their acapella version of toy was quite good. Maya Buskila diva vocalist- I wonder how far she will go in the show. Maya Buskila will win the show. it’s obvious !!! Europe – Get ready for a real diva !!! Maya Buskila is way overrated IMO, more of a diva-wannabe than an actual diva. Still I think she’ll make it to the final, but I do hope she doesn’t win it. The fifth. I thought about it as well. Khen Aharoni was also one of the contenders in one of the seasons, and also Clara Sabag, who participates in this season but still hasn’t been shown. The videos didn’t work for me (in uk) is there territorial problems? I’m in Slovenia and it worked.